Congress is poised to override President Trump’s decision last year to freeze federal civilian pay in 2019, according to House leaders. A spending deal between House and Senate appropriators released late Wednesday provided a 1.9 percent across-the-board raise to federal workers this year, the same amount agreed to last year before negotiations broke down over Trump’s demand for $5.7 billion in funding for a wall along the U.S.-Mexico border. Trump’s refusal then to sign onto a short-term continuing resolution triggered a 35-day partial government shutdown. The legislation would apply the pay increase retroactive to Jan. 1. Congress has until midnight Friday to approve a measure to avert another shutdown, which would impact the departments of Transportation, Housing and Urban Development, State, Interior, Agriculture, Treasury, Commerce, Homeland Security and Justice, as well as the Environmental Protection Agency, NASA, Office of Personnel Management and other independent agencies. On Monday night, negotiators announced that they had reached a deal “in principle” to fund the government until the end of the fiscal year. That deal includes $1.375 billion in funding for a border “barrier,” and although Trump has not outright stated he would sign it, he has hinted that he would do so by predicting there would not be a second shutdown. The Senate plans to vote on the deal Thursday and House leadership said that chamber plans to put the measure up for a vote Thursday evening, after lawmakers return from funerals for the late Reps. John Dingell, D-Mich., and Walter Jones, R-N.C. Some Democrats and federal employee groups had hoped to secure pay parity between the civilian and military workforces in the appropriations package, after the House last month passed a bill that would have provided a 2.6 percent pay raise this year. 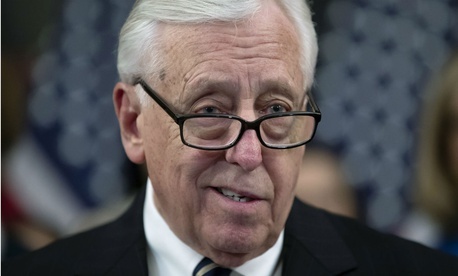 Although the inclusion of only a 1.9 percent raise does not foreclose that possibility, and Hoyer said Wednesday he would continue to pursue a larger increase, union leaders said Monday that this legislation was the most likely way to sign a pay boost into law. It would be easier for Trump to veto the pay raise if it arrived on his desk as a standalone bill. This story was updated to reflect the introduction of the bill.